Everyone knows that 750ml glass bottles are the only proper way to drink Irn Bru. For the last 110 years, the joy of gingy bottles has come with the added bonus of a deposit cash return, 30p since 2008, when returning each Bru bottle to a shopkeeper. But there’s now only about 24 hours left to cash in on any glass cheques lurking around your living room – because, following an announcement by AG Barr in August, the deposit scheme will be scrapped from Friday 1 January. It’s a tragedy for everyone whose first savings account amounted to lugging a cargo of glass bottles to a corner shop counter. It’s a blow for Scotland’s chances of adopting a more widespread deposit return system, just months after Ministers released the findings of a feasability study on exactly that. Above all, it’s probably most upsetting for the legions of unionist hacks who’ll no longer be able to spend any future referendum cracking up about an indy Scotland adopting gingy bottles as its currency. 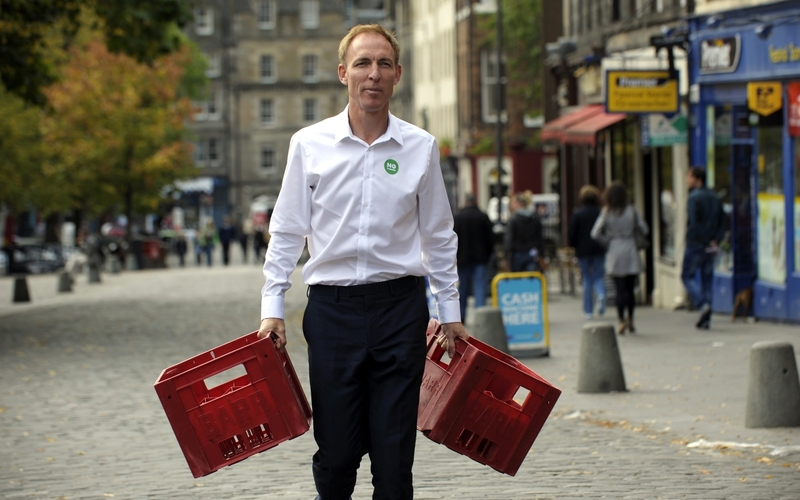 But to make a wider points – as well as helping finance the purchase of a lot of 20p and 30p sweetie mixes, returning Barr’s juice bottles helped engender ideas of reuse, recycling and the environmental and monetary cost of packaging in generations of Scottish children. Manufacturers Barr have attributed their decision to scrap the scheme to a fall in return rates – they claim this is around 50% – and a higher uptake of household glass recycling. They say it will also lead to efficiencies in the production process. But council recycling is distant and removed, with little connection between the rubbish you make a half arsed effort to sort out and whatever it may, eventually, be processed into – perhaps after it’s been shipped half way around the world. Barr’s return scheme represented one of the last remaining tangible reuse efforts – which, as Lesley Riddoch points out, is the kind of scheme we need to normalise and embrace if we’re to meet the Scottish Government’s ambitious environmental targets. Sadly, that will all end very soon – so if you haven’t already, it’s time to clear out your kitchen and jump down to your nearest newsagent. 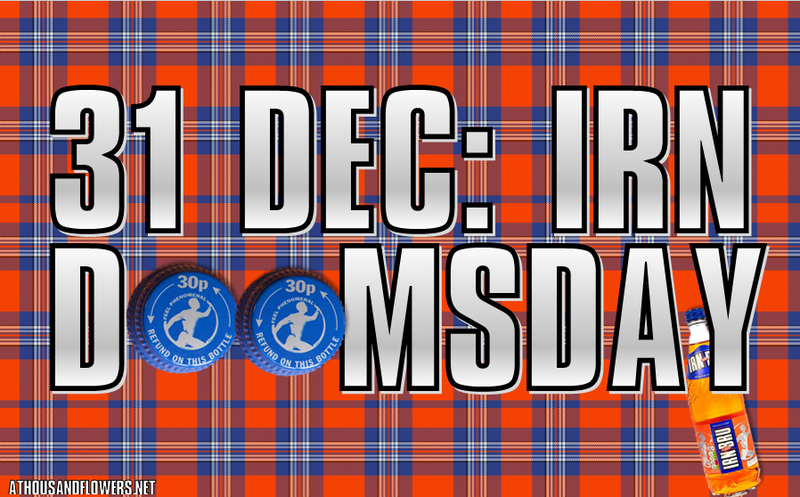 Irn Doomsday is approaching. Council recycling is no more remote than my blue bin, a lot closer to my kitchen than my sweetie shop. And recycling of pressurised drink bottles may not actually be such a good idea; I have a friend who made a good living as expert witness in court cases where such bottles, chipped through re-handling, exploded and hurt people. But you do raise one very serious question. Since we don’t want an independent Scotland to depend on the goodwill (hollow laughter) of foreign banks, either the Bank of England or the European Central Bank, what *should* we use for currency? The (pre-Euro) Irish example might be instructive; is there anyone here who knows enough to discuss it?